How do we bring sunlight into a room trapped within firewalls? 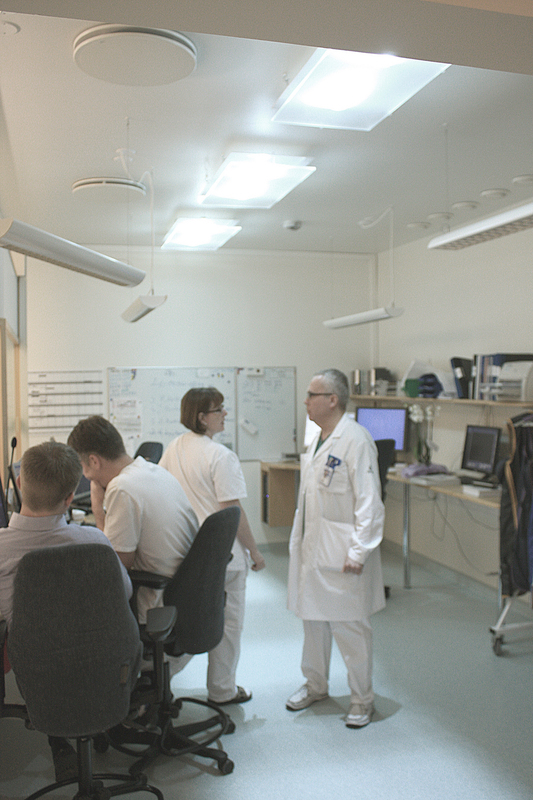 The department of coronary angiography at the Hospital of Helsingborg is situated in the centre of a large building complex where no natural light could pass into the rooms. During long Swedish winters, the personnel claimed that entire weeks would go without them seeing the sun. How could we bring sunlight through the firewalls and into these rooms? The Parans cables can easily pass though firewalls and tight bends. As the roof was too far away, the solution was to place two systems on the East and West facades. One system brings the morning sun into the control room, and when the sun moves to the other side of the building, the other system brings light into a break room along the other wall. This way, both weather and time are considered. 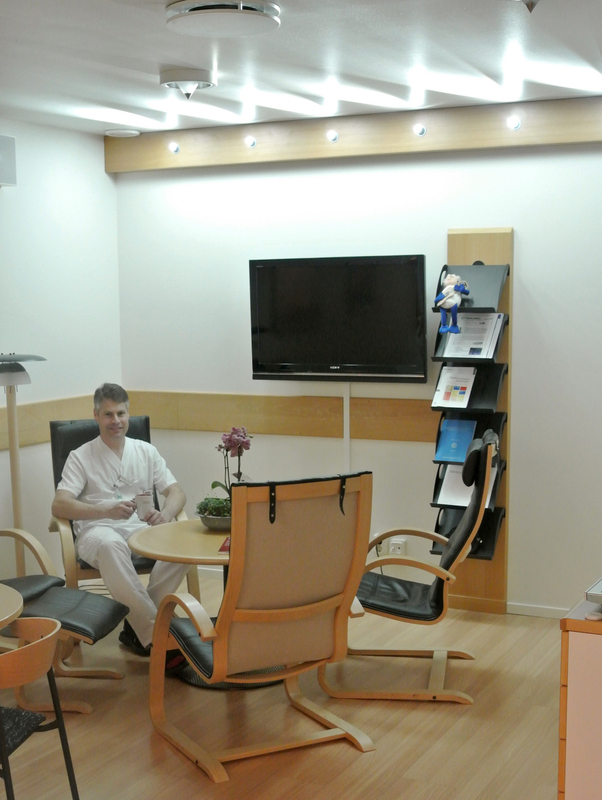 “We actually turn off all electrical lighting when the sun is out”, states one of the doctors. And they instantly see when the sun comes. 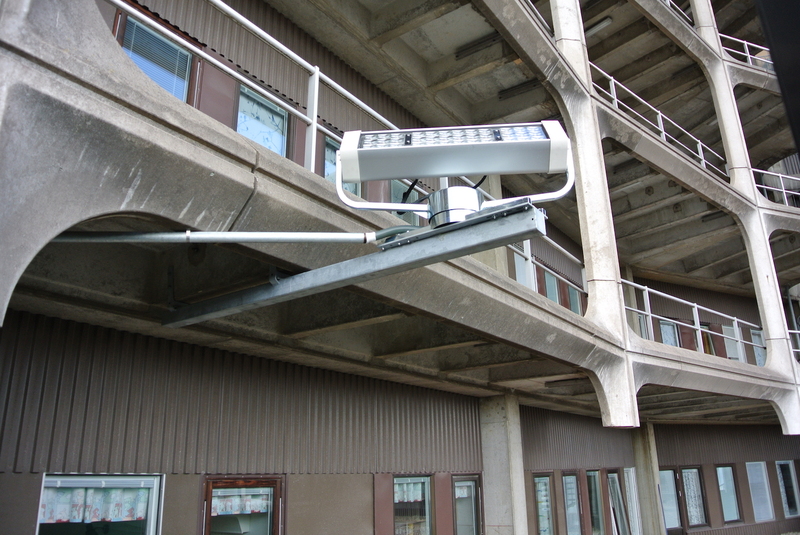 The L1 Medium luminaires in the control room are placed so that light does not hit computer screens and it gives a high and airy feel to the room. With long cables, L3 Spotlights* were mounted on the wall in the break room. That way some distance was covered and the light is bounced off the white ceiling to spread it further. As this wall is a firewall, a wooden canal was built to match the hardwood flooring and wall panel, and the L3 spotlights* were just snapped in place.